Jewish Home chairman prefers Netanyahu as prime minister but does not rule out the leftist candidate. 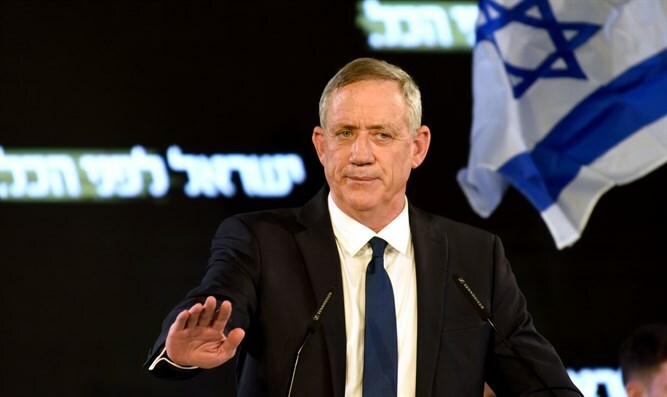 Jewish Home chairman Rabbi Rafi Peretz told the Makor Rishon newspaper about his warm relations with Benny Gantz, chairman of the Hosen LeYisrael (Israel Resilience) party, who is considered the left’s candidate in the upcoming elections. "It's important to stress that I see our natural and direct partnership in the Likud and Netanyahu. This is our first priority, and I would like to see us together in the leadership of the state," Peretz said. The former Chief Rabbi of the IDF did not, however, rule out the possibility of joining a Gantz-led government and discussed their relationship. "And then there's Benny Gantz, who was my Chief of Staff, I was with him from the day he took office. We are close friends. I am certainly not rejecting him. We will think and talk and see if there are contours between us and, knowing him, there are,” he said. Gantz and Rabbi Peretz have a mutual acquaintance, Col. (res.) Hod Betzer, a resident of Elkana who was the head of the military rabbinate headquarters under Peretz, and later when Gantz was appointed Chief of Staff, Betzer served as Gantz’s personal assistant. Betzer is also an activist in the Hosen LeYisrael party.